Liz Orelup represents lenders, borrowers, buyers, sellers, and other parties in commercial lending and leasing transactions (including secured transactions, syndicated credit facilities, ABL facilities, and mezzanine debt), other commercial transactions, and distressed credit matters and bankruptcy. Liz has comprehensive experience in representing private equity and strategic buyers in acquisition financing transactions and a variety of other commercial loan transactions. Following private equity acquisition transactions, she works closely with the portfolio companies in all aspects of their financing and credit needs. Liz works with manufacturing companies and their financing affiliates to provide financing to customers, suppliers, and distributors; develop loan documentation and procedures for national financing programs; and advise lenders and borrowers with respect to covenant compliance matters. She also provides strategic advice on—and negotiates and documents—early termination of financing leases and amendments, consents, default waivers, and other covenant compliance matters. Liz advises a broad array of businesses on UCC secured transactions (Article 9) issues that impact their interests. 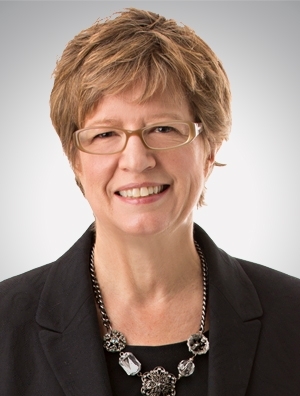 Liz began her legal career as a bankruptcy lawyer in the economic recession and financial industry crisis of the early 1980s and continues to advise creditors and distressed borrowers in connection with workouts, restructurings, and bankruptcy matters. Liz is the former national chair of Quarles & Brady's Business Law Practice Group and is the chair of the firm's Opinions Committee.